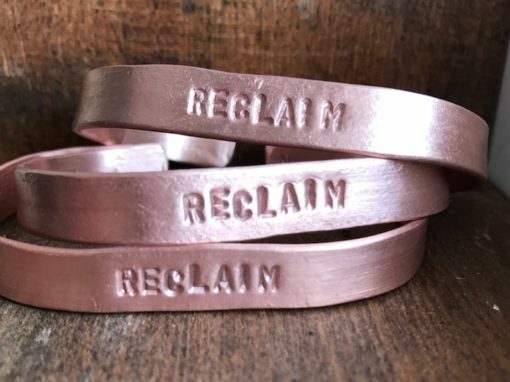 Handcrafted and hand-stamped individually by Trevor Norris in the Dream Acres shop, these copper bracelets can bend to fit your wrist and feature the word “RECLAIM”. Copper is an essential trace mineral necessary for survival. It’s found in the liver, brain, heart, kidneys, and skeletal muscle. It helps with the formation of collagen, increases the absorption of iron and boosts energy. Many studies show copper helps with arthritis and since ancient times people wearing copper report alleviated symptoms. Wear them individually or in multiples. 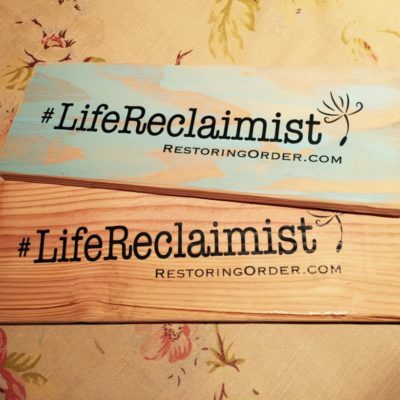 These make great gifts for your team, family members, or friends.